Quiescence is also a common thing for SQL databases. In a very general sense for computing, it just means to stop (or silence) the activity of any system, so that you can do things to that system that you otherwise would not be able to do if there were other activity going on at the same time. 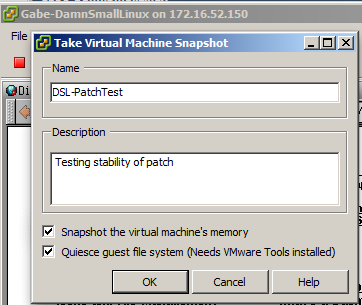 Just remember to clean up your VM snapshots after you’re done with them! Not only do they take up space, but VM snapshots use differencing disks (or delta disks) that affect I/O performance of the VM while it’s running. For ESL you are amazing. 15 hours behind on a server rollout for a small business and using vSphere and snapshots for the first time. NEEDED this info. Thanks man! This was very useful.. Thank you for the post.